Voices—they’re everywhere. As soon as I wake up, I can feel the stress of keeping up with their demands. As soon as I look at my smartphone, I am overwhelmed with all the notifications “needing” attention. They seem to pull me in every direction and keep me dodging here and there, attempting to keep up with all the differing opinions, unnecessary tasks, and media. The sound of the voices seems to echo throughout every part of our lives. Calling to us from our Snapchat notifications, our workplace newsletters, and our family reunions. Wherever we go, distractions and other people’s opinions shout for our attention. We desperately try to keep up with the influx of media, news, responsibilities, and social events, but we often find ourselves too worn out to really enjoy any of the aspects of our lives. Everything seems bland and dull, like an endless mill of things to do and ponder that we aimlessly run to keep up with, much like a hamster on a wheel. So how can we truly relish the fullness of life? 1. Say “no” to unnecessary activities and business. It’s hard for us to really experience and enjoy life when we are so busy running from place to place taking care of extra work or someone else’s duties. We hardly even have time to realize what we are doing much less to fully live in each moment. Instead, we brush the surface of precious moments that we pass through instead of diving in and immersing ourselves in the embrace of a partner, the warmth of the sunshine, and the taste of home-baked cookies. We simply don’t have time to experience the essence of what makes life good when we say “yes” to unnecessary responsibilities. Part of the problem is that we simply have far too much to do. We need to learn to say “no” sometimes to the extra burdens our work, friends, or even family members beg us to take care of. Don’t say “yes” to an added responsibility when you already feel too busy. 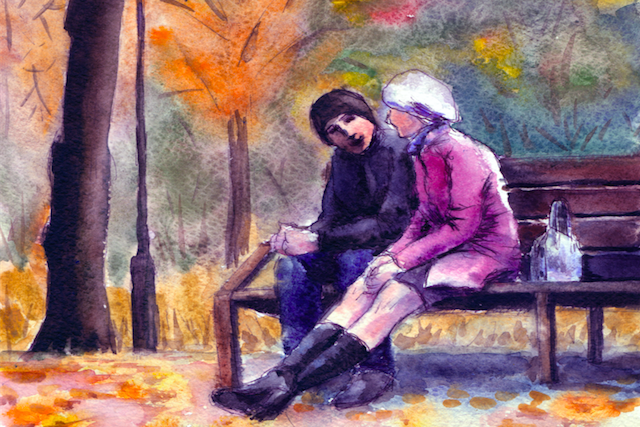 Sure, your friend might be disappointed, but if she is really your friend, she will eventually understand that her problems aren’t yours to solve. Learn to politely but firmly decline from taking on too many tasks. As a recovering perfectionist, I have a hard time saying “no” to tasks I know I could do well. This past year I’ve had to learn that I can’t do everything. I’m getting married in the winter and beginning graduate school, so I have a lot on my plate. But, when people ask me if I could play my violin for their wedding or church service, I have had to weigh which events are priority and which ones I simply don’t have time for. For instance, saying “yes” to helping with a close friend’s surprise wedding this summer versus getting paid to play my violin at a stranger’s wedding. I’ve even had to decide which social events I really have the time, energy, and desire to go to versus the ones that sound too stressful or that simply don’t fit into my schedule. In short, I have had to learn to say “no” to unnecessary activities, even if my decision might disappoint someone. Only by avoiding extra busyness have I begun to truly experience and live in each moment. 2. Minimize your exposure to media. Media is everywhere around us in today’s society. From television to smartphones to iPads, we are constantly flooded with media. In fact, we often get so distracted by media that we feel like we have to check Instagram every five minutes and we have to watch the news every morning and we have to post one more tweet on Twitter. The media saturation can cause us to be distracted from our work, family, and hobbies. Just recently, I noticed that even though I see my fiancé only on weekends I was scrolling through Instagram more than I actually conversed with him. I was too busy taking creative pictures and reviewing the likes and comments on my posts. Every time I had a free moment, I would feel the urge to check my phone. In fact, I would sometimes find myself sitting next to my fiancé on the couch, blankly scrolling through Instagram instead of engaging in real, deep conversations. As a result, I uninstalled Instagram. Almost instantly, I noticed a change. I didn’t feel like I had to check my phone all the time. I felt more attached to my partner and looked forward to spending time talking with him. I was less superficial and less worried about how I looked. Furthermore, I became interested in my old hobbies like writing poetry and reading, now that I was less distracted with social media. I miraculously looked forward to work and what I could accomplish each day. Clearly, we need to avoid becoming distracted by media, so we can more fully experience life. 3. Take time to do the things you love. Many times, we think that as adults, we should outgrow hobbies and live in the routine of work and household responsibilities. While adult life does include many more necessary duties, we should not let our daily tasks keep us from occasionally taking time out to do the things we love. Remember what you used to do in your free time? Take a minute to read a chapter of your favorite book, to go birding at your local park, or ride your bicycle downtown. Sure, you might not be able to do it very often, but don’t let the business of life keep you from doing the things that bring that extra sparkle of life to your eyes. Just because you’re a busy adult doesn’t mean you should never have a little fun or relish doing something just for the enjoyment of it. For me, that meant sitting down to write this article. Or, going to the library and finding a couple of good books to read. Or, writing a few quirky poems to add to my poetry collection. Without realizing it, I had allowed myself to be so busy that I had stopped doing the things that I loved, and I just kept chasing after the things I had to do without ever coming to the end of them. There will always be more necessary activities to do in life. 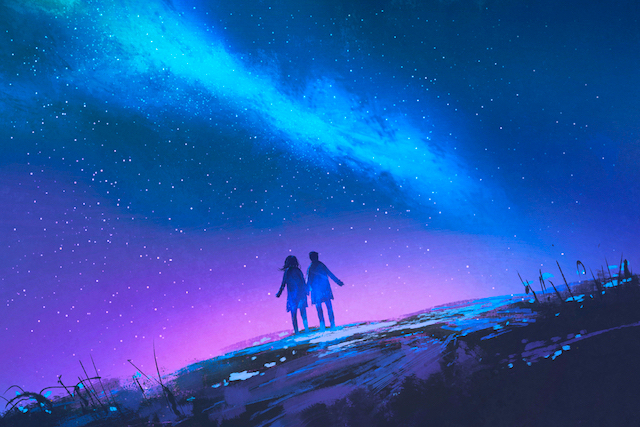 But, your hobbies are part of what make you uniquely “you.” Learn to take time to cherish those activities and to experience the joy they give you. The constant grind of work and home duties can grind a person’s spirit into the dust. But, pausing to do something you love can help bring vibrancy and vitality back int your life. 4. Be authentic to your beliefs and values, even if it goes against popular beliefs or the opinions of those close to you. Letting other people’s opinions control our lives can squelch our creativity and joy in life. Constantly worrying about what other people think is draining and keeps us from experiencing life fully and genuinely. We are always uneasy when we are pretending to be what we are not, and we are always dissatisfied when we are living in a way we would not live unless society told us we should live that way. I was lucky to grow up in a wonderful, loving home that nurtured and grew me. However, when I started college, I realized that I had absorbed so much of what my family, community, and society believed that I needed to figure out what I really felt and thought to see if it was the same. I had to sort through what I did because I’d always done it that way and what I did because I believed it should be done that way. I had to discover what I felt about social issues because I’d absorbed what society taught me and what I felt about injustices because that’s what I’d discovered to be true. I had to decide whether it was more authentic for me to continue my career as a musician because I’d played violin since I was a toddler, or if my talents and life experience led me to explore a different field of study like writing and library science. The people around me didn’t all support my career change. Some even challenged me because they thought it was a waste of talent and that I was “too smart” to be a librarian. At times like this, I’ve had to consider my choices and decide to stand up for myself, even if others didn’t agree with me. Other times, I’ve had to reconsider my choices and beliefs again and have discovered new, even more fulfilling truths. In either case, I’m learning to be genuine and make decisions that I believe support my convictions and who I am, instead of living to please other people. Living life genuinely gives us the freedom to be authentic. We can make decisions logically and emotionally from the values that we hold to be true, and thus we can be fully content with our decisions. We do not need to pretend in order to make more friends or please our family. If our friends truly love who we really are, they will accept us and all our idiosyncrasies without us having to put on a façade. In the same way, we need to put up boundaries with our families and disconnect ourselves a healthy distance from family dictums, so that we can discover for ourselves what we really believe, how we really want to live, and what we really want to accomplish in life. We need to learn to make decisions because we think they are right, not because that’s how everyone else does it, because that is what is acceptable to society, or because that is how our families did things. Only when we can stay authentic to our own values and beliefs can we truly feel satisfied and live life to the fullest. With so many distractions and opinions surrounding us every day, it can be difficult to be fully present and truly experience each moment of our lives. But, if we say “no” to extra duties, if we reduce our time distracted by media, if we take time to do the things we love, and if we stay true to our own values and beliefs, we will find ourselves enjoying more of our days. Bethany Thornton is a writer, violinist, and poet. She is currently pursuing her dream to become a youth services librarian in order to share the power of learning. She enjoys hiking, drawing, reading, and composing in her free time. She is passionate about sharing hope, community, and joy that can be found despite and through tragedies, conflict, and mental illness. The post How to Enjoy Your Days More: 4 Ways to Live Life to the Fullest appeared first on Tiny Buddha.